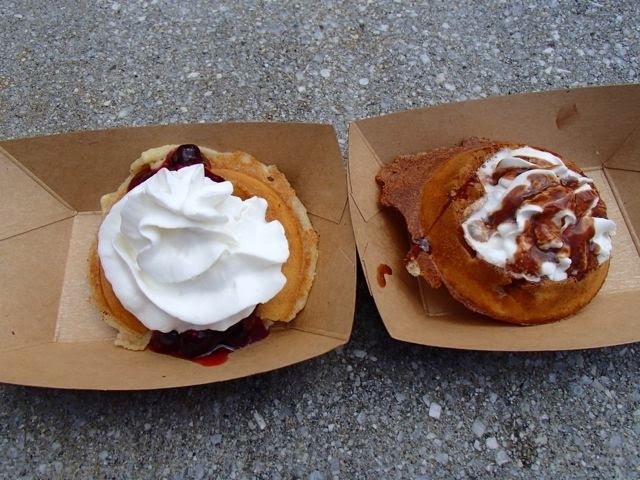 On our second and last day at Disney World this trip, we headed back to the Food & Wine Festival and went around to the left insides of the right like the first day. 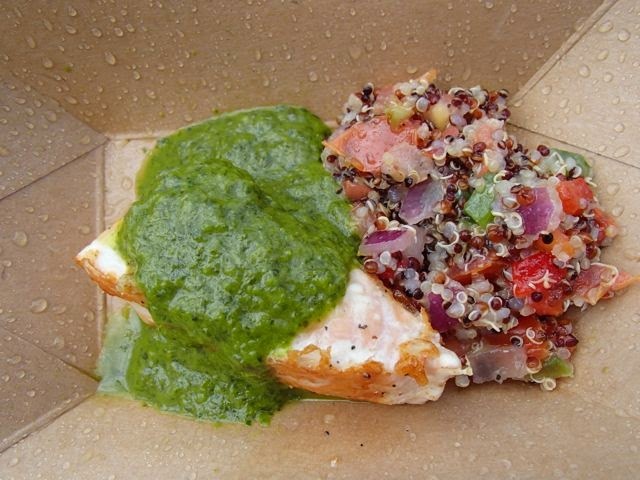 Our fist stop was for Roasted Verlasso salmon with quinoa salad and arugula chimichurri at the Patagonia booth. 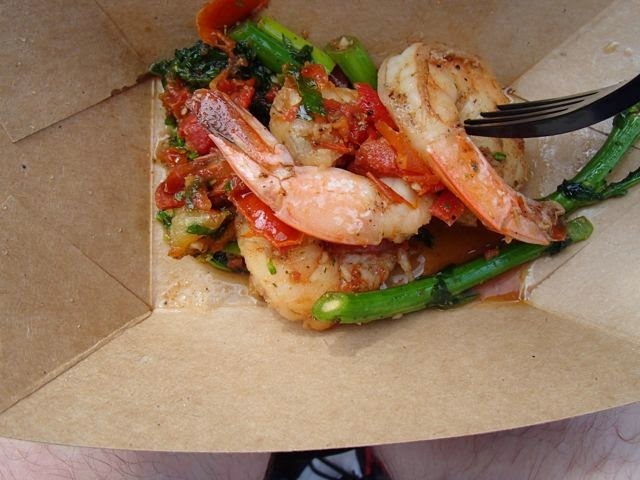 At the Australia marketplace we tried the Garlic shrimp with roasted tomatoes, lemon myrtle and rapini. 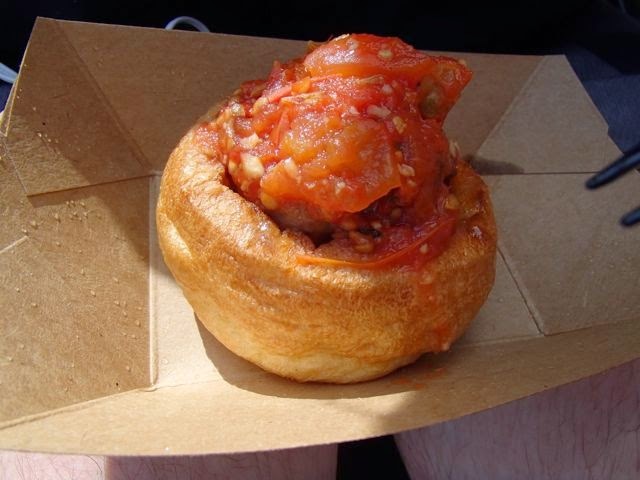 Next Dad got a Lamb meatball with spicy tomato chutney from New Zealand, which Mik ended up mostly eating because he loved it when he tried it. 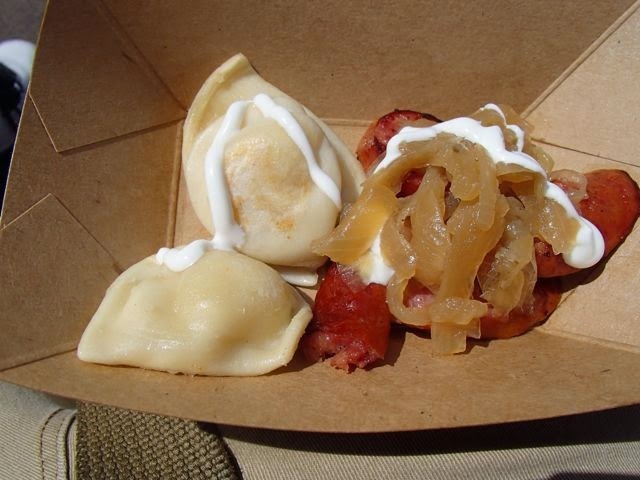 From Poland we got the Kielbasa and potato pierogi with caramelized onions and sour cream. Good pierogis, but they did seem odd to me so mini. Mik most looked forward to trying the waffles in Belgium, which he had skipped the day before because we had waffles from Sleepy Hollow in the Magic Kingdom for breakfast that day. He had the chocolate one and like the Belgium style waffles. He tried my berry one, but didn't particularly like it because it was mostly blueberry. 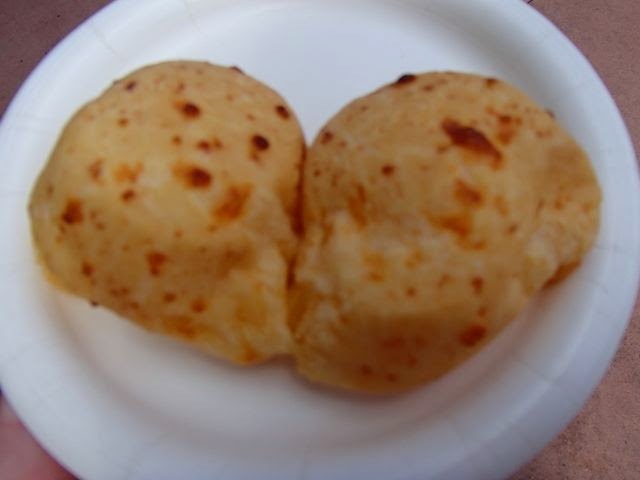 Lastly we had Brazilian cheese bread, which Mik didn't really like, but was my favorite thing we tried.